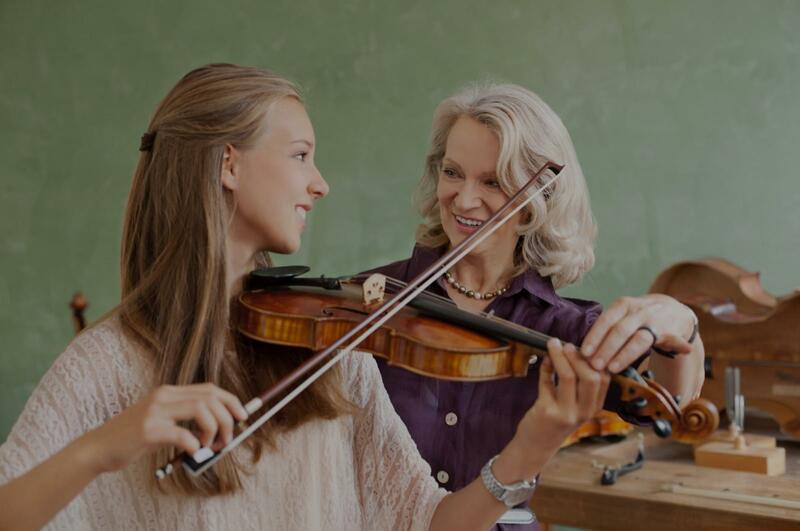 Cypress, TX Violin Lessons Near Me | Fun Classes. Top Tutors. beginning through intermediate & adult. I have work teaching kids since I was a kid, the unique Venezuelan orchestra system teach kids to play in profesional orchestra levels, also teach discipline and passion for classical music. I start playing in the Venezuelan orchestra system when I was 4 years old, and grow up with this group of people that after years became my family, teach me how to give all the experience that I had the opportunity to live with the orchestra and help the future generations of classical trained musicians. Hi! My name is Katherine Luces, I am a violin player and teacher from Venezuela. "Dustin Newbold has been my violin teacher for nearly eight years. nd professional. He brought me through the very early stages of the violin as a beginner student, to now playing first violin in the community orchestra. He has not only helped me become a better musician, but has been very knowledgeable in bringing me through the rough times of bowing, tuning, and even selecting the appropriate violin, strings, and accessories. Dustin has the sensitivity to understand the student's level of ability and skill, and he creates a path for improvement. Lessons are always challenging and fun. I highly recommend Dustin to any student who is serious about learning music, and especially to those to aim to be proficient on their instrument." "It was great start by Dustin for my son with guitar and daughter with violin"
sson feeling like I am learning, and knowing I will continue to progress." "My daughters, Ella (8) and Grace (6) have recently started violin lessons with Cameron. He is friendly and easy going and they seem to enjoy the lessons." ool and she finds her time with Rachel to be extremely beneficial and productive." Houston, TX teacher: Rachel G.
nd patient showing me how to correctly play the instrument. He encourages me to be better. He works with my schedule as well as my learning curve. When I am stuck on something, Cameron provides tips and figures out a way to get me past the problem. I will continue as one of his students!" "My son came back really happy after his first class and said that the teacher was really nice!"